Sebastian Zuccardi grew up in a family of strong visionary and innovative spirit. Since 1963 his grandfather, Alberto Zuccardi, engineer, planted the first acre of vines in Maipú, Mendoza. Familia Zuccardi has continued growing and developing until positionig itself as an important benchmark for Argentinas winemaking industry. From his father, José Alberto Zuccardi, Sebastian inherited the determination and desire for lifelong pursuit of excellence. Nowadays Sebastian, third generation of the family, is working in front of a young agricultural and winemaking team, responsible for producing wines with the highest standards of quality in the Uco Valley. On his initiative, since 2008 the winery has an area of ? ?Research and Development, dedicated to the study of the terroir and the different variables that affect wine quality. The aim, in the words of Sebastian, is "not seek perfect wines, but those who express the place, the region". The Uco Valley at the foot of the Andes, Mendoza, is a cultivated oasis at the the highest altitude. In this privileged location, our vineyards benefit from its cold and dry climate and wide temperature range. The combination of multiple microclimates, altitudes, types of soil and the care of the vineyard, results in multiple terroirs. 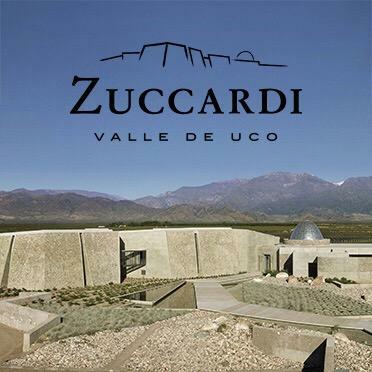 Zuccardi has the challenge to interpret it faithfully to express their identity in the wine. The grapes were cooled in a refrigerated chamber. They underwent manual selection of bunches, before being destalked, crushed, cooled and direct pressed. They were fermented at 15-18°C with selected yeast. After fermentation the wine was stored in fine lees for 6 months. Intense yellow-green color. Tim Atkin 90"Great fruit; more black than red, with spicy aromas. Very fresh but round as well. The 2013 vintage provided elegant fruit, with great natural acidity. Great example of a Malbec from the Uco Valley." ~T.A.